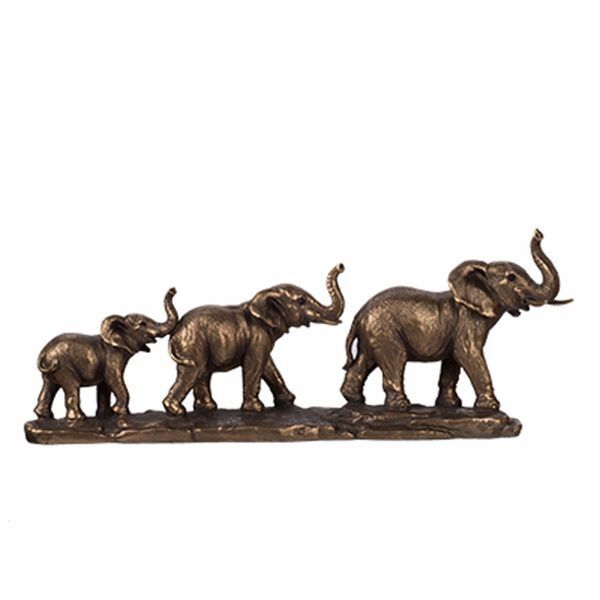 With detailed features and playful poses, this Elephant Family Statue is a stunning addition to any home or office. Featuring a train of three elephants - small, medium, and large - this is a sweet, dynamic piece. At just over three pounds and made of polyresin, this piece is lightweight and ultra-portable. Perfect for those with a love of exotic wildlife, this statue makes an excellent gift!